Enjoy emancipation from cooking one extra meal. 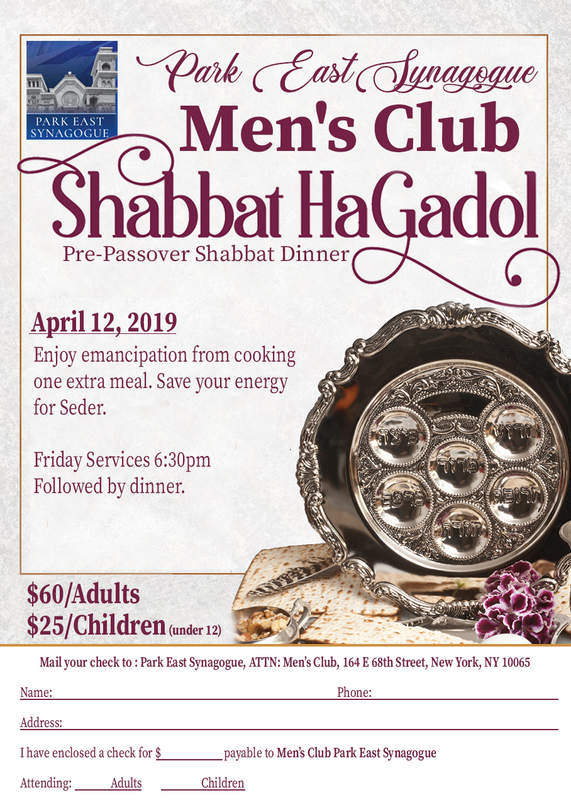 Save your energy for Seder. Friday Services 6:30pm – Followed by dinner. Please include your name, phone, address and who will be attending. Enclosed a check for amount due, payable to Men’s Club Park East Synagogue.